A new blue iPack for Windows OS. 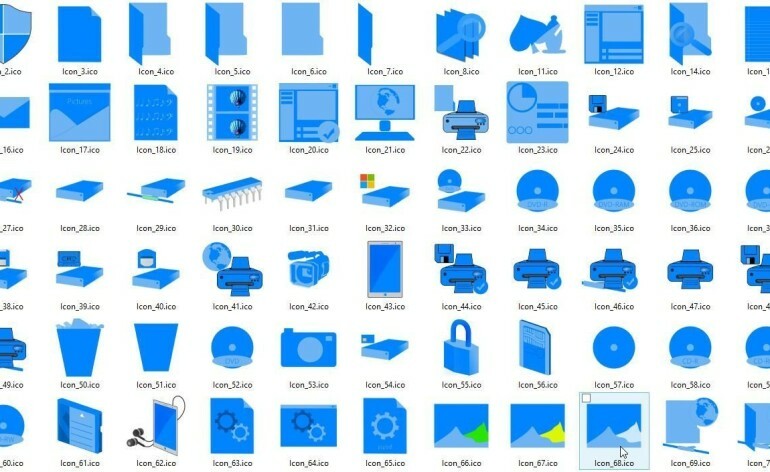 Inspiring Blue Icons from the author of Tangle iPack. For those who want to feel the difference & those who want to get rid of the usual Windows Icons. 1) This software is provided “as-is,” without any express or implied warranty. In no event shall the author be held liable for any damages arising from the use of this software. 2) Permission is granted to anyone to use this software for any purpose, including commercial applications, and to alter and redistribute it. 3) The origin of this software must not be misrepresented; you must not claim that you wrote the original software. If you use this software to distribute a product, please include the contact details of the author.